ClubCoins Necesarios: 90 Please note that, for now, you cannot download content from our platform directly onto a mobile device (phone, iPod, iPad, tablets...). You need to download your items onto a PC or Mac, and then transfer them onto your device in the normal way. We are working on allowing direct downloads to mobile devices but this is not possible in the current version of the platform. Sorry about the inconvenience! 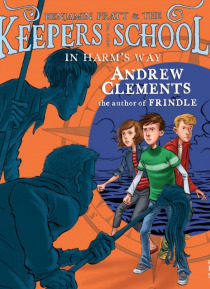 The threat to the Keepers doubles in the fourth Keepers of the School adventure from Andrew Clements, the master of the school story.Benjamin Pratt and his friends Jill and Robert are determined to save their school from destruction. But just when it seems theyve finally gotten the upper hand over that awful Janitor Lyman, theyre caught completely off guard by his next move: Lyman has called in re… inforcements, and suddenly Benjamin, Jill, and Robert find themselves dodging not one evil janitor, but two. Thats right: Lymans got himself a partner. And it quickly becomes clear that Wally, the new guy, is even more corrupt and menacing than Lyman. Luckily, Bens team has been growing too. Plus, thank to the latest safeguard, they also have a secret fund of millions of dollars. But all the money in Massachusetts isnt enough to stop Lyman and Wally, not when theyve come this far, and not when they are about to put the most harmful part of their plan into play. Could the next safeguard give the Keepers what they needor has their battle to save the school already been sunk?